The Nov. 4th featured race for the V.I. 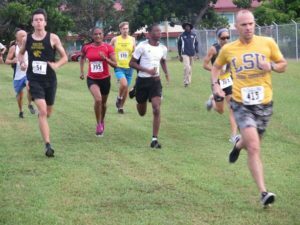 Cross-Country Championships held at the Albert Sheen St. Croix Campus was the Veterans Day 5K. Billy Bohlke has won this title on more than a few occasions, and he has added additional success to this week’s portfolio, which included the winning of the National Business Aviation Award for his company Bohlke International Airways, which was started by his grandfather, making him the third generation CEO. Bohlke went old school with his LSU T-shirt, which could have both motivated him and inspired him to use tactics that made him a successful, walk-on middle-distance runner at the Southeast Conference powerhouse. He trailed V.I. Youth Olympian Dominique Pugliese of Good Hope Country Day School by at least 40 meters at the mile mark; he closed the gap; took the lead, and extended it to the same distance into the two-mile. Pugliese stayed the course and closed the gap; Bohlke would take the win in 17:40 with Pugliese ever closing with a fine effort to take first Under 20 in the junior 5K and second overall in 17:50. Mike Klein Jolly Roger Track Club finished second in the open category in 22:55; Rob Kuznski of Free Will Baptist was third in 23:14. Keyshawn Ferrel of St. Croix Educational Complex High School was the second junior male finisher in 18:46; Isiah Caul, his teammate, was third in 20:10. Rob Wolf was the masters 5K winner in 26:06; Florendo Astrofabio was second in 28:14. 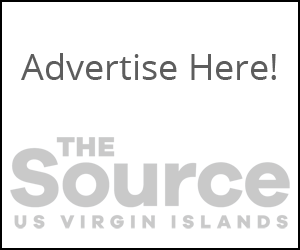 Ruth Ann David of St. Thomas was the female 5K winner with a time of 20:57; Mireille Smith of St. Croix Track Club (SCTC) was second in 24:21. 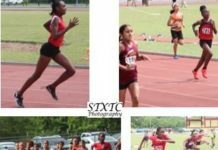 Jusenia Tuitt of St. Croix Educational Complex High School was the first female Under-20 junior finisher with a time of 22:00; Kelsey Bohla GHCD was second in 26:08; her teammate, Mayah Russell, was third in 26:34. In the boys Under-16 2-mile, Brice Richards of Good Hope Country Day School (GHCD) overtook teammate Makari Mathew to win in 11:55; Mathew was second in 12:11; teammate Jackson Archambault was third in 13:48. 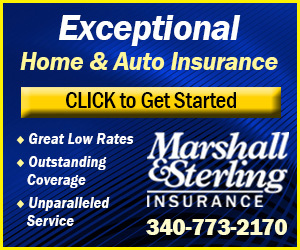 Shaiah David of St. Thomas won the girls Under-16 2-mile in 13:56; Rory Ramsdale of GHCD was second in 16:14; Ashyln Morrel of SCTC was third in 19:33. The boys Under-14 mile was won by Joseph Freeman of GHCD 6:23; Aleak Miller of SCTC was second in 6:33; Michael Liburd of Lew Muckle School was third in 6:36. 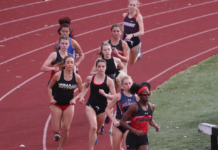 The fastest mile of the day, 5:51, and her first time under 6 minutes was run by Michelle Smith of SCTC to win the Under-14 girls’ race; her teammate Akyra Joseph was second in 6:32; teammate Amiyah Eddy was third in 7:15. The boys Under-10 mile winner was Elioneai Etienne of SCTC in 7:37; second was Jerrel James LM in 7:58; third was Jaquan Creque of Alfredo Andrews School in 8:07. The girls Under-10 mile, a close race, was won by Barecia Brooks of Lew Muckle School in 8:08; second was Jeniqua Weeks SCTC in 8:10; third was Kyliz Osorio LM in 8:32. 1] Runners were classed in age groups and by organization. 2] Billy Bohlke wore a wrist band and dedicated his race to the memory of nine of his fellow airmen who lost their lives in the crash of one of their C-130 cargo planes in their Puerto Rico Air National Guard of the U.S. Air Force. 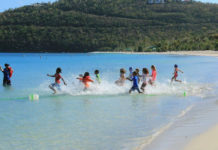 3] The first running event for the Virgin Islands Pace Runners was 40 years ago on the campus of what was known then as The College of the Virgin Islands, on basically a similar one-mile course at Saturday’s event. V.I.Pace Runners partner with the 4H program to stage “Run for Fun, Run for Health, Run for Life” fitness runs on Saturday mornings. 4] The V.I.Pace Runners and the Virgin Islands Track and Field Federation extends sincere thanks to the University of the Virgin Islands and the 4H Program of the Cooperative Extension Service for being a great host on this great running course for the past 40 years.